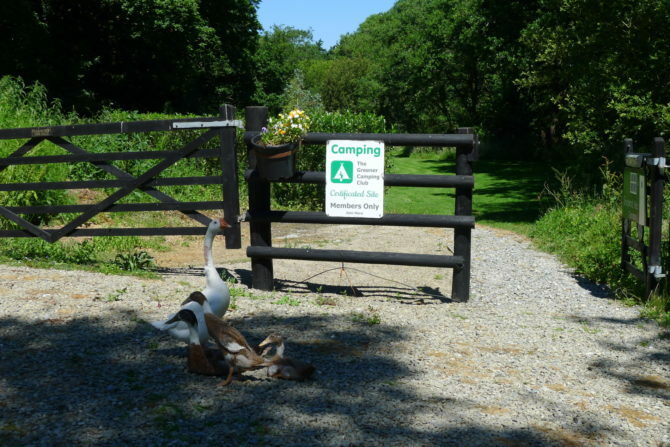 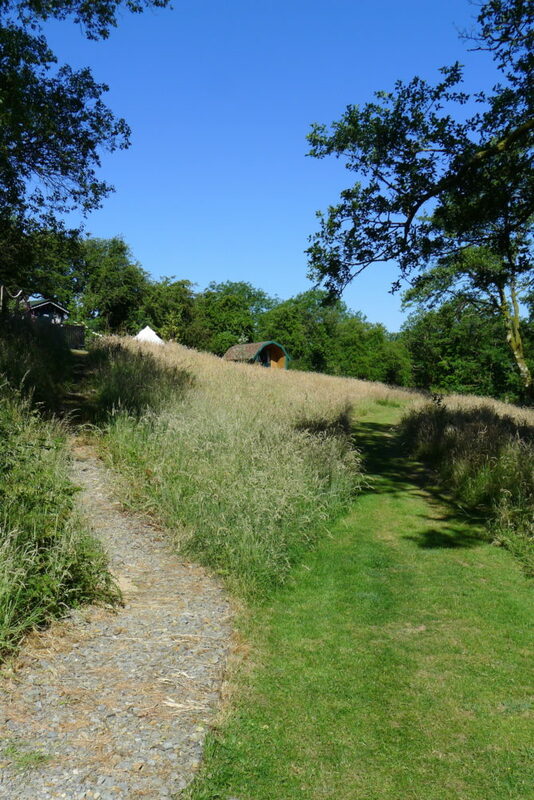 The Cwt Gwyrdd site has a large level gravel car park which leads through a wide gateway to a level, 1 meter wide winding gravel path. The path ends with a set of 5 shallow timber and gravel step onto the site. 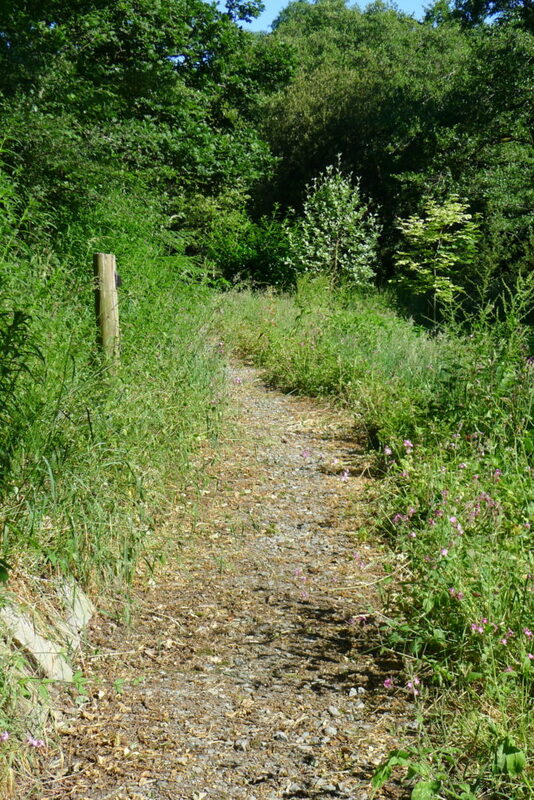 An alternative very shallow route can be taken across the grass. The Cwt Gwyrdd site is level, with the land sloping down towards the river Bannon. 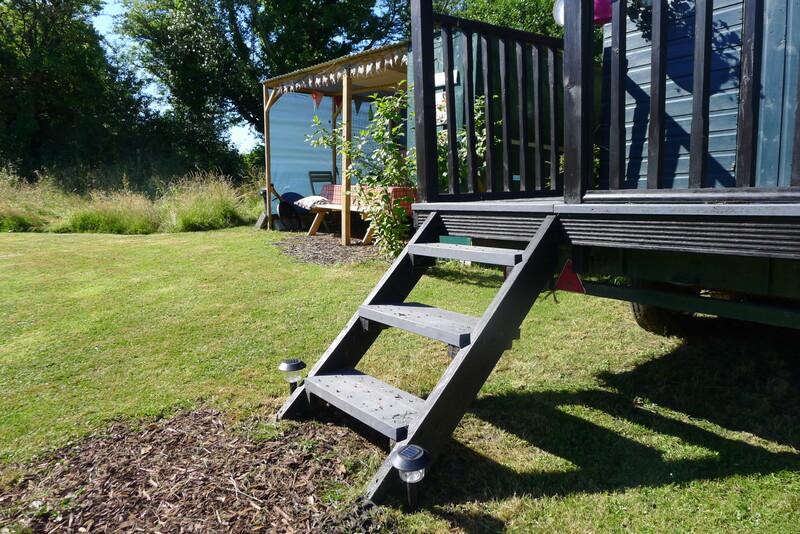 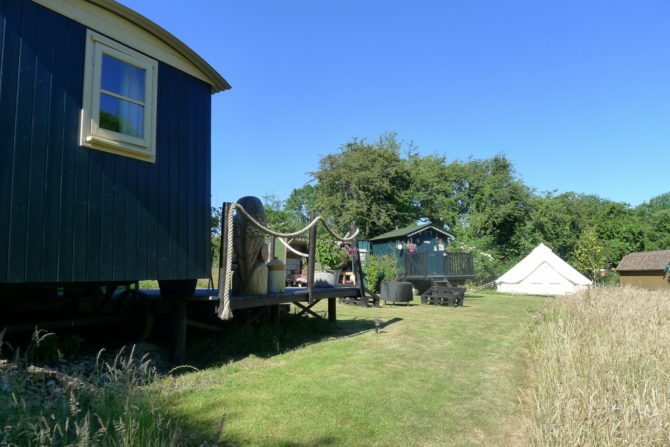 The Shepherd’s Hut has three risers onto the decking and a further riser to the door to the Shepherd’s Hut, which is 750mm wide and has a threshold step. 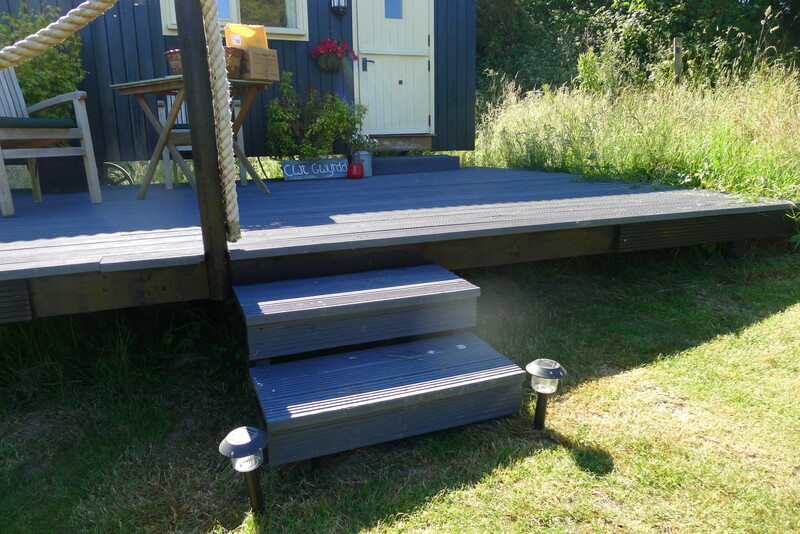 The Bathroom Hut has four risers 750mm wide leading to the platform and the 750mm wide door with a threshold step to the bathroom. 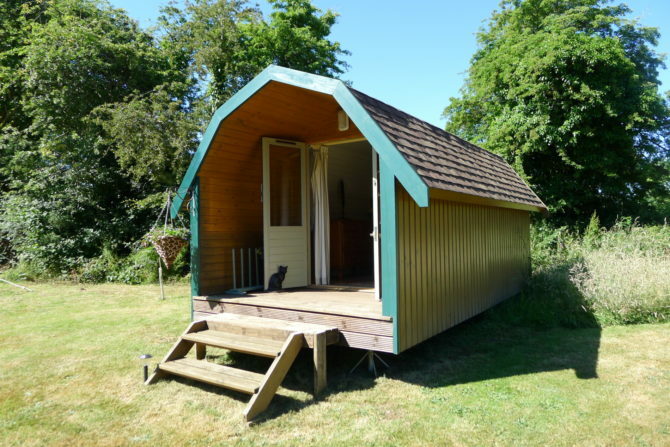 The Pod has 3 risers leading to the entrance porch leading to 1200mm wide double doors.